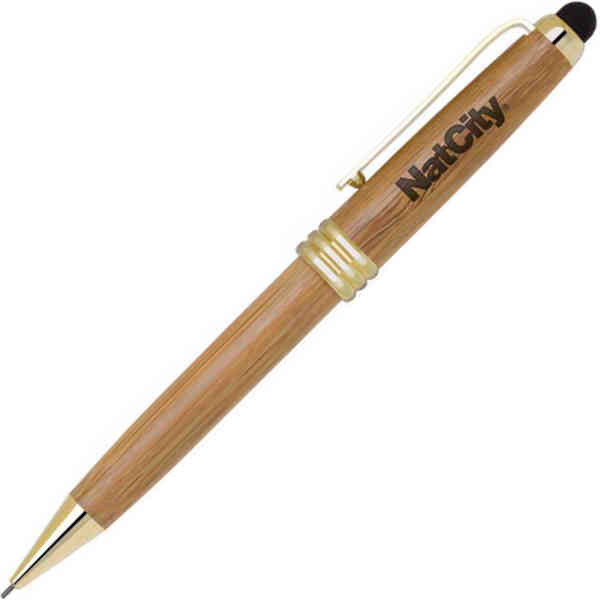 Product Color: Brown-Gold - Write off the competition with this amazing eco-friendly stylus and pencil as your next giveaway! It's made of bamboo with 0.9mm lead, beautiful accents, and is available in several fantastic color combinations. This also features a capacitive touch tip for use on smartphone and tablet touchscreens. This is a fantastic gift to office workers or students for when either needs to take notes. Add your logo with one of our imprint methods and increase your brand visibility! Price Includes:one color/position silkscreen imprinting or laser engraving.